Tata Motors stated that it will continue the production of its Tata Nano for some more time. 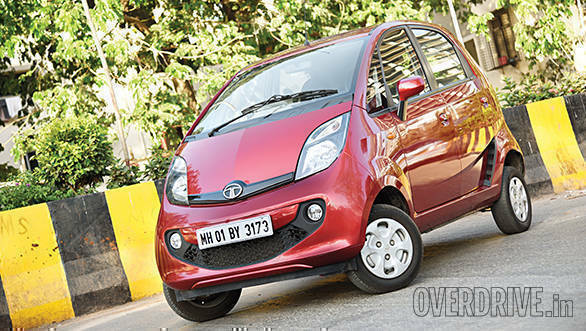 A Tata Motors spokesperson said that the Tata Nano has an "emotional connect" with the Tata Group. There had been talks recently, regarding the future of the Tata Nano, the brainchild of Tata Sons chairman emeritus Ratan Tata. However, officials state that the Tata Nano will continue to be produced as it plays an important role in Tata's passenger vehicle (PV) strategy, being the only entry-level hatchback on offer from Tata Motors. "We regularly review our product strategy and will certainly give an update in the months to come. Till that time, we continue to produce Nano catering to customer demand in key markets," the Tata Motors spokesperson said. As part of this strategy, Tata Motors recently launched the Tata Nexon compact SUV in India. Tata Motors president - passenger vehicle business unit, Mayank Pareek said that the company aims to be among the top 3 PV manufacturers in the domestic market by the end of next year. "With the entry into newer segments and the launch of market-leading products, our aim is to cover 95% of the market by 2020," Pareek said. Tata Motors PV sales have witnessed a positive growth of 22 per cent in the 2017 financial year, while industry growth stood at 9 per cent.